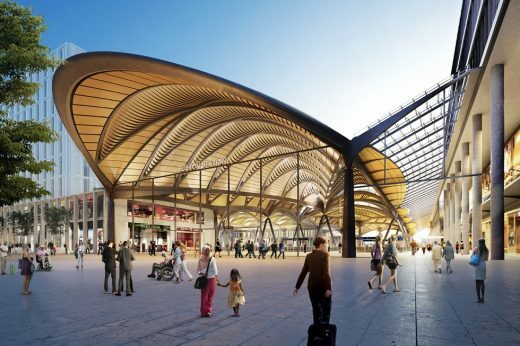 London-based architects Grimshaw and WilkinsonEyre have each won two major station design deals for the High Speed 2 railway project. 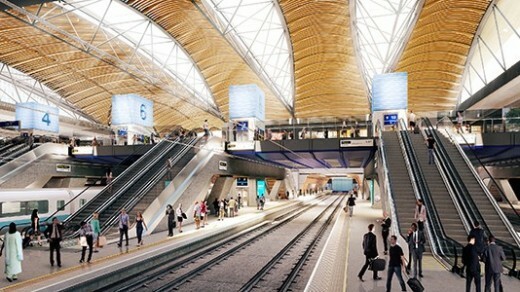 Grimshaw will work with WSP on Birmingham Curzon Street and with Haptic and Arup on the huge overhaul of London Euston. WilkinsonEyre will work with Arup and Arup Associates on the Birmingham Interchange and with WSP on Old Oak Common in North London. HS2 stated that work on the four key stops on the rapid rail link as ‘the largest new station-building programme in the UK since the Victorian age’. All four stations are due to open in 2026. Contracts will be awarded in Autumn 2018. 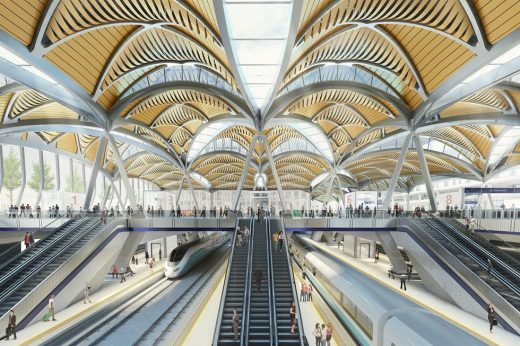 Rogers Stirk Harbour + Partners, Foster + Partners and Grimshaw have been named on the bidding teams battling it out for High Speed 2’s (HS2) stations packages. All three practices are led by architects famous for being active in the Hi-Tech movement of the 1980s, which focused on elevating structural and technical aspects of architecture. Major construction contracts have been awarded and the route north of Birmingham through Yorkshire confirmed. Contracts worth about £6.6bn and supporting 16,000 jobs have been announced for civil engineering projects in the first phase of HS2, between London and Birmingham, including tunnels and bridges along the line. The final route for the second phase, the Y-shaped network towards Manchester and Leeds, was be confirmed, including changes to the original proposed route around Sheffield. The first major preparatory works for HS2 are starting around Euston Station in London this summer. Work includes the closure of a public park and demolition of hundreds of homes on neighbouring estates. High-speed trains from London to Birmingham are due to start running in 2026. 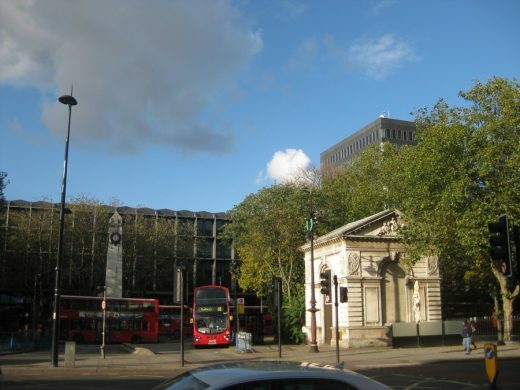 Client looking for four station designers and a development partner for Euston, reports Building Design today. Arup, Mouchel and WSP Parsons Brinckerhoff have won design consultant roles on High Speed 2’s Birmingham-Crewe extension. Arup has been appointed to deliver civils and environmental services; WSP Parsons Brinckerhoff will work on railway systems for the northern section of the route; and Mouchel will provide site access, land referencing and stakeholder engagement services. Last month, HS2 announced that the opening of the Birmingham-Crewe route would be brought forward by six years to 2027 – just a year after the completion of the London-Birmingham section. All three firms are set to assist HS2 in the preparation of a second hybrid bill to provide the powers to deliver the route to Crewe by 2027. Commenting on the appointments, HS2 chief executive Simon Kirby said: “Bringing HS2 to Crewe six years early will dramatically boost connectivity and improve journeys for millions of people travelling between London, the Midlands and the major cities of the North. 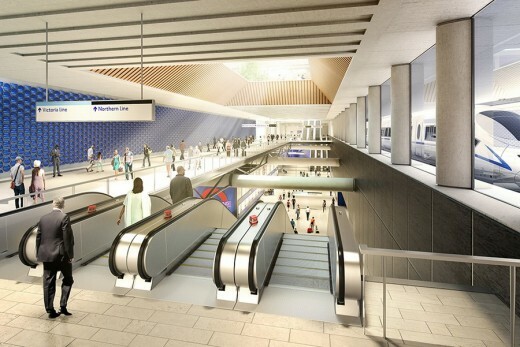 Grimshaw and Arup had been leading the design work on the new London terminus for the multibillion pound rail link, having landed the job in 2012, reports the Architects’ Journal. However the work was retendered last year and the package has now been picked up by WilkinsonEyre as part of the WSP Parsons Brinckerhoff-led bid. According to New Civil Engineer, HS2 evaluated the tender based on 70% technical and 30% price and split it into three different contracts covering civil engineering, railway systems and environmental services. Euston HS2 Terminus Architects News – article in The Architects’ Journal. The new Mayor of London has cast doubts over the Euston station redevelopment by Grimshaw after suggesting Old Oak Common could be a better terminus for High Speed 2 (HS2) until local concerns about disruption are resolved, reports the Architect’s Journal. HS2 has unveiled revised plans for its London terminus at Euston, prolonging construction by seven years and incorporating a bright yellow roof over its high-speed rail platforms, reports The Guardian. 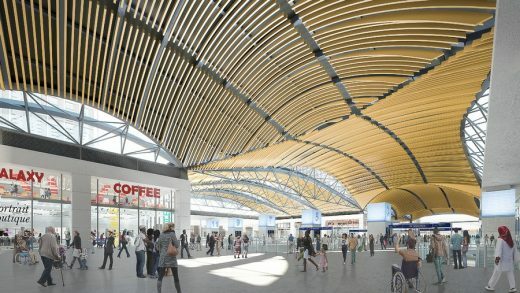 10th September, 2015 – HS2 Ltd has released designs from Arup and Grimshaw for the proposed new High Speed Two (HS2) terminal at Euston station. Euston will provide high speed rail services from London to the Midlands, and the North. 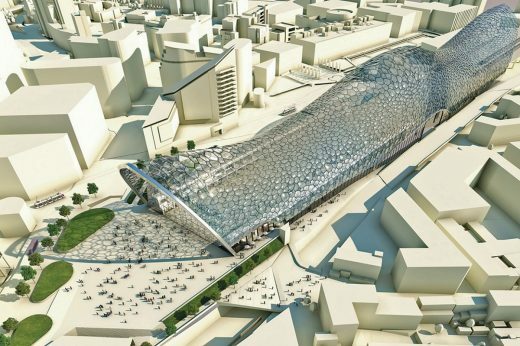 Arup is the lead consultant on the project and has been working closely with architects, Grimshaw, to produce an incremental staged design that will allow construction of the new high speed station while maintaining services at the existing station.